Get ready for another adventure with everyone's favorite smuggler! 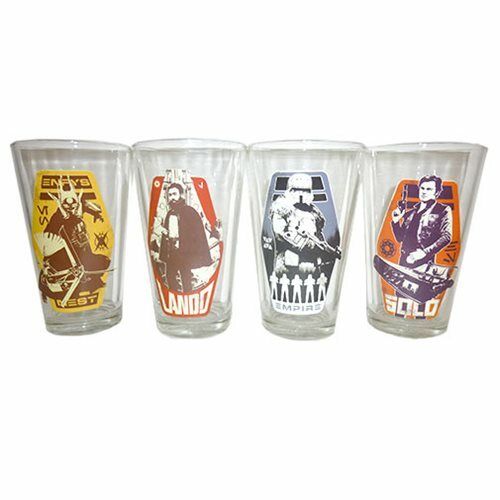 Raise a toast to Solo: A Star Wars Story with this Star Wars Solo 4 pc. 16 oz. Glass Set. Sit back, relax and pour yourself a cold beverage in Vandor's glass sets. Say Cheers with your favorite pop icons, guaranteed to put a smile on your face after a long day.